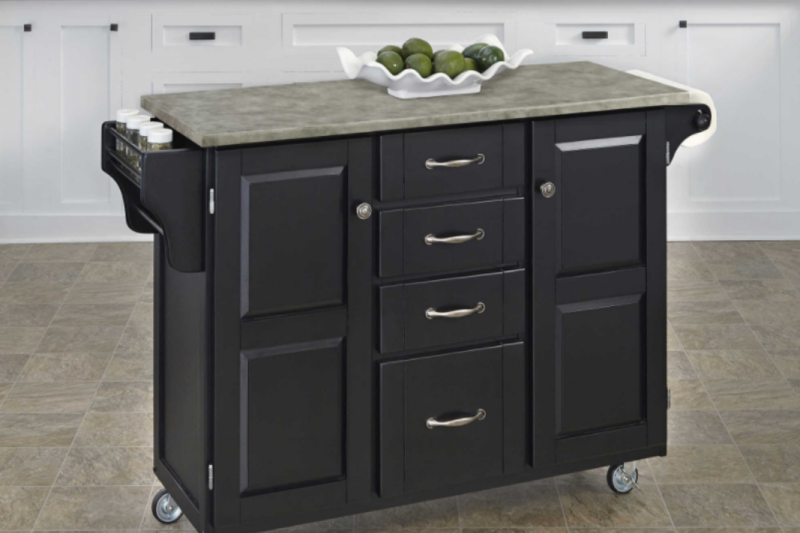 Available from Home Depot, the Home Styles Create-A-Cart includes a concrete countertop, wood cabinets and utility drawers, adjustable shelves, a spice rack with towel bar, and heavy-duty locking casters to keep it in place when you're not moving it around. $499.99. 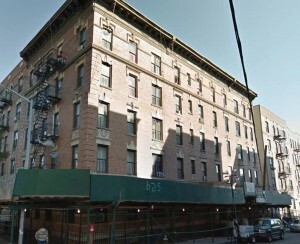 Enormous, stately kitchen islands have become an increasingly common feature in the world of high-end NYC apartments, but that doesn't mean us mere mortals can't get in on the trend. 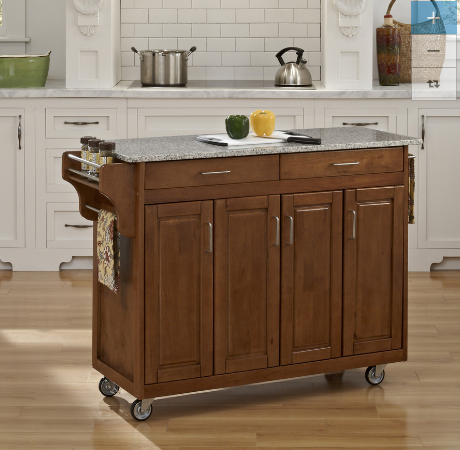 A moveable kitchen island creates extra storage and food prep space when you want it, its impermanence lends it flexibility, allowing it to be easily wheeled away—or transformed into a sidebar—when the need arises. 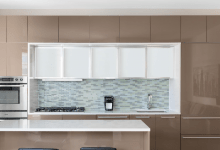 Kitchen islands have grown so popular, in fact, that even high-end new developments like Midtown's Aalto57 are including mobile kitchen islands in their units' decor. 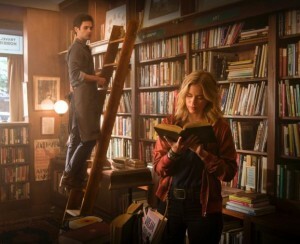 (The project even touts them in their listings.) There are also myriad options on the market for those who want to add counterspace and functionality into their kitchens, whether they're more industrial, shabby-chic, or country in vibe. 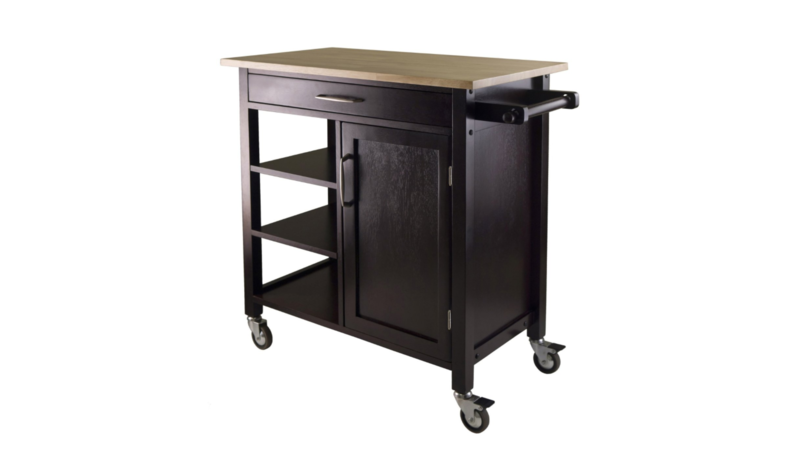 Below, portable kitchen island options in a variety of styles and price points, for that stage in life when you're ready to upgrade from that classic IKEA cart. 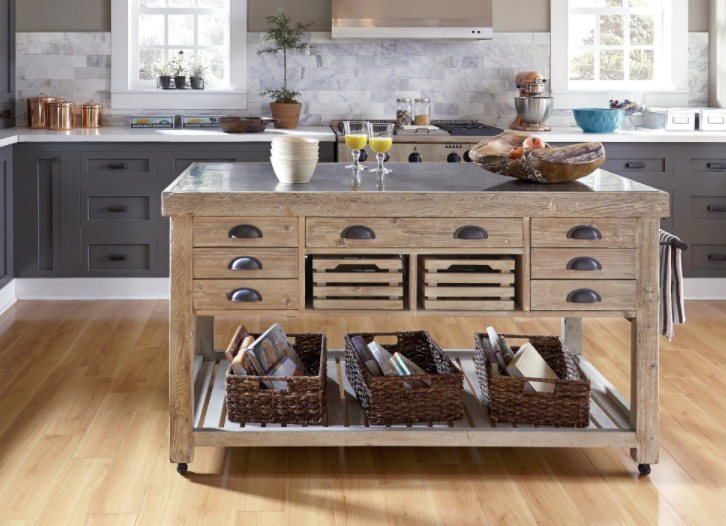 For a more aspirational option (or one that can hold its own in a massive kitchen), the Kosas Home Deni Washed Grey Blue Stone and Reclaimed Pine Kitchen Island ($1,699.49, Overstock.com) has ample storage space, and measures 60 inches wide, 30 inches deep, and 36 inches high. The countertop is limestone and the matte wood is all reclaimed pine. On the opposite end of the size and budget spectrum, there's the Winsome Mali Kitchen Cart ($135.25, Amazon.com), which includes a mix of shelving and interior doors, as well as a towel rack and a natural wood counter. 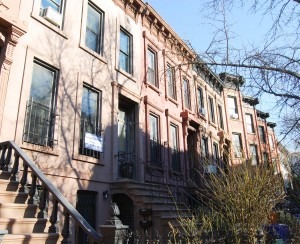 This might be an option for the more DIY-minded, however, as assembly is required upon delivery. 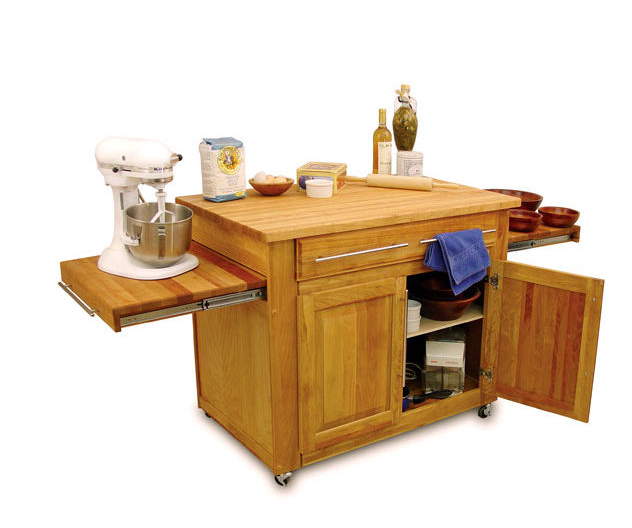 For a frequent home cook who needs extra space for chopping vegetables (or rolling out cookie dough), the Catskill Kitchen Island Work Center ($1,009.00, KitchenSource.com) comes with two pull-out leaves, plus a cabinet and drawer space. It features a butcher block top, and is made of northeastern birch hardwood. Assembly is also required upon delivery. 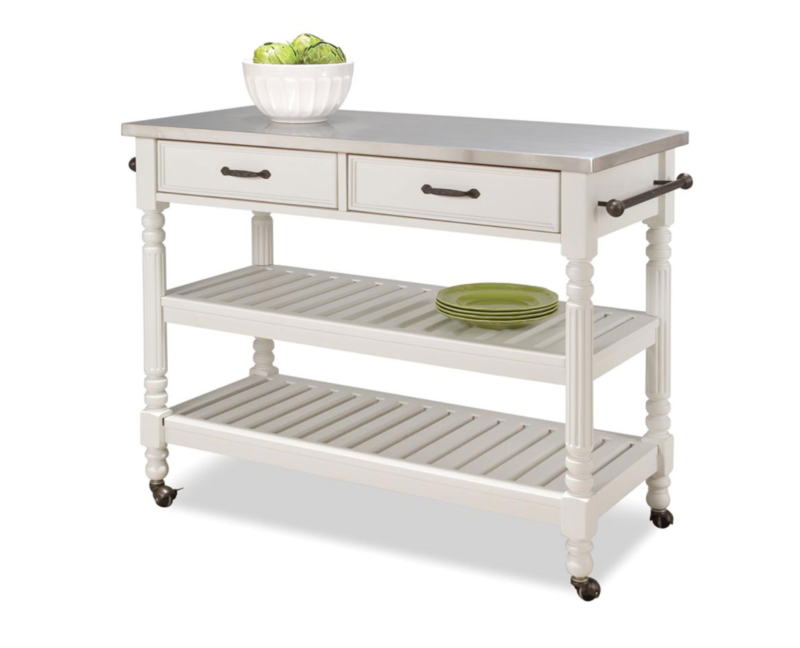 If you like the look of open shelving (and are willing to commit to frequent dusting), there's the Savannah White Cart from Home Styles Furniture ($445.95, Bellacor), with towel racks on both sides and two drawers perfect for silverware and other odds and ends. The center shelf is adjustable, and the countertop is stainless steel for easy cleaning. The sides of the Home Styles Cottage Oak Kitchen Island ($387.16, Lowes) do double-duty, with space for towel racks as well as a spice rack. In addition to two upper drawers, there are four cabinet drawers, each with three adjustable shelves within, so you can change the sizing to fit your particular storage needs. 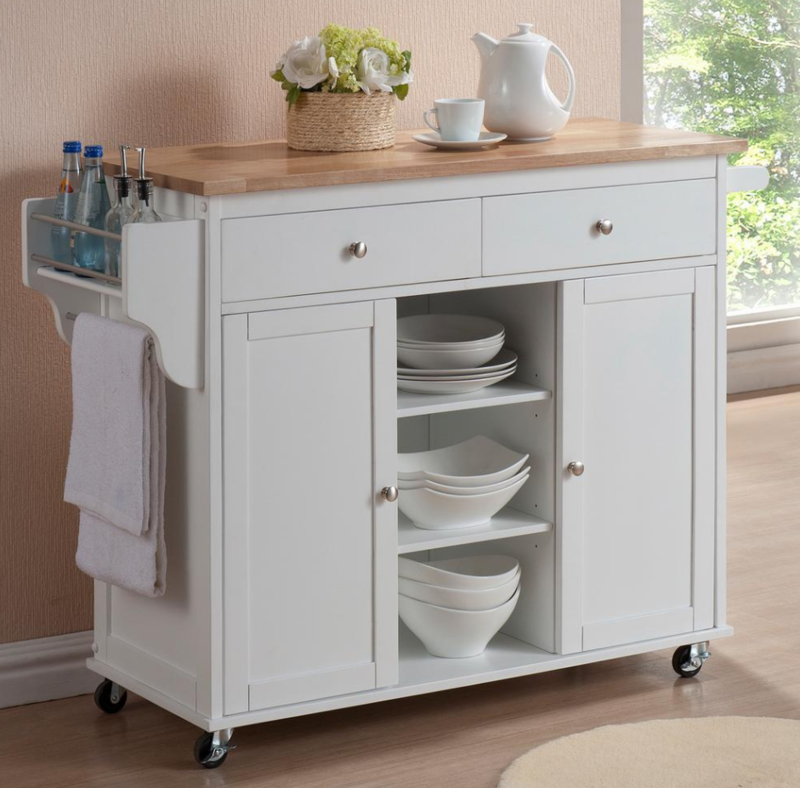 The design of the Meryland Modern Kitchen Island Cart ($214.80, Home Depot) is similar to the the Home Styles model pictured above (including the towel and spice racks), but with a clean, white color scheme, and open shelving in the middle to allow easy access to your favorite tools or ingredients. 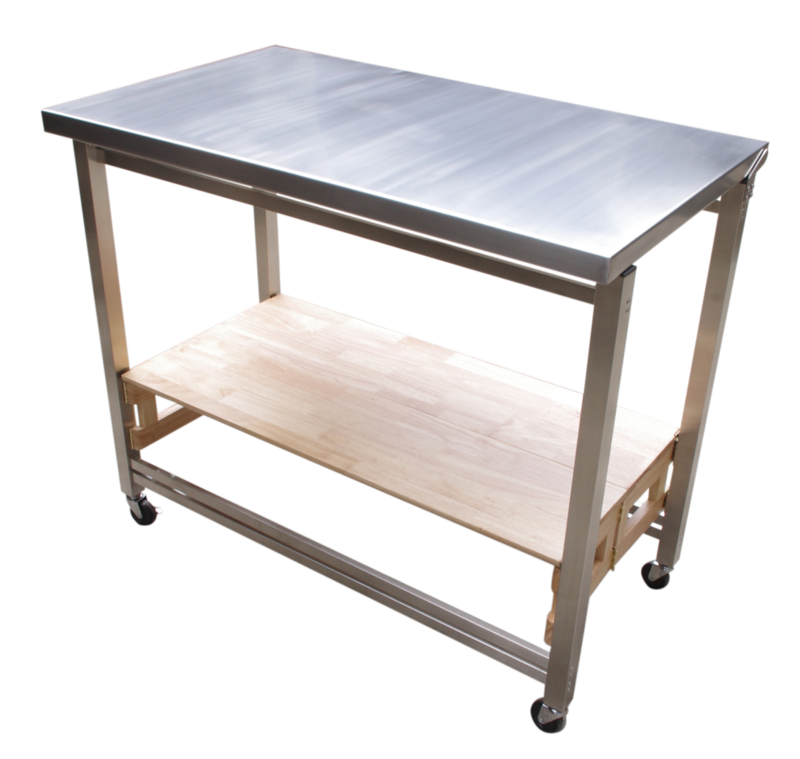 One last option that's even more versatile than the others: the Oasis Concepts Prep Table ($479.99, Wayfair), which, with its sleek, stainless steel design, would be a natural fit for an industrial-style loft in, say, Tribeca or Bushwick. It also offers the option to create even more space in your apartment, thanks to a hinged design that allows it to be folded up and tucked away when not in use.